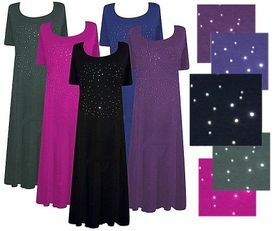 This is a short sleeve princess cut dress with a pretty rhinestone scatter on the front, in sizes 1x to 6x. 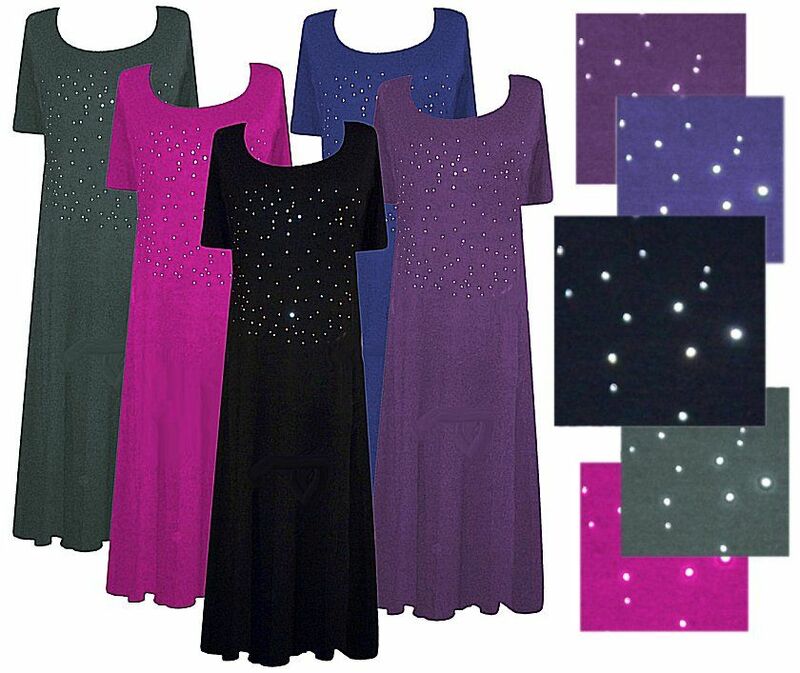 It's available in purple, olive green, fuschia pink ribbed, gray or dark blue, and the fabric is a stretchy poly/cotton jersey blend. 6x/7x: Chest appx 70", Hips appx 90"
5x/6x: Chest appx 65", Hips appx 85"
4x/5x: Chest appx 60", Hips appx 80"